Another MAD project has been selected to feature in this months Self Build & Design magazine. An 8 page article details how our Parkhead Road project transforms a standard bungalow into a stylish family home. Further details about the project can also be found on our project page. MAD have just received planning approval for our proposed alterations to a house on Brockwell Lane, Chesterfield. The scheme involves a thorough renovation & extension of an existing house. Alterations to the front of the house will create a open plan living / dining / kitchen area, whilst an extension to the rear will create a new garden room & play area, providing a direct link to the raise garden. The property will also renovated with new rendered external wall insulation and the existing roof insulated, ensuring ongoing running cost for the property are reduced. Work is due to start in late summer 2017. MAD have just received planning approval for our proposed alterations to a house in Curbar, in the Peak District. The scheme involves the replacement of a unsightly conservatory with a contemporary extension, creating an open plan living / dining / kitchen area. The tall bi-fold doors provide views up towards Curbar Edge. Negotiations with the Peak District National Park Planning department progressed smoothly, aided by the 3D models & montage views. MAD have just received planning approval for our proposed alterations to a house on Storrs Road, Chesterfield. 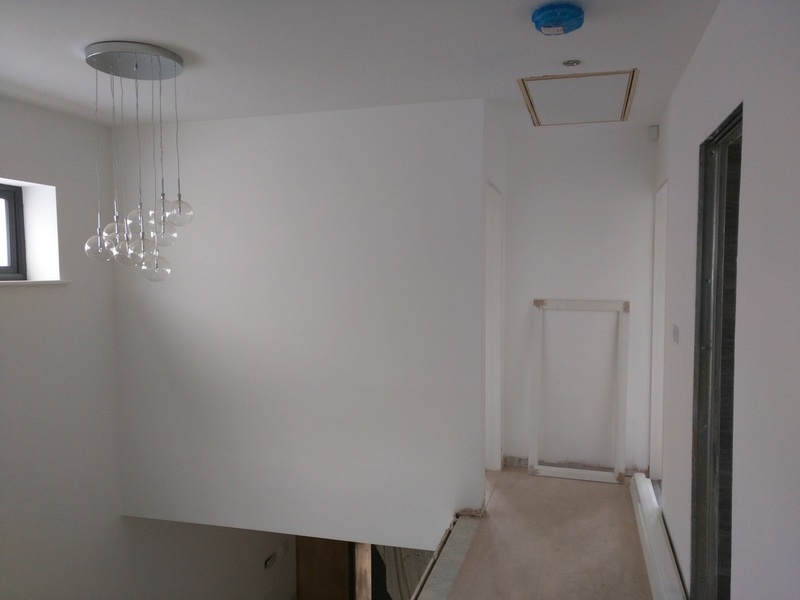 The scheme involves the complete renovate & extension of a small 2 bedroom house, into a luxury 4 bedroom house, including an open plan living / dining / kitchen area around a gallery staircase. After submitting this project in the Real Homes Transformation Awards, it was selected for the bathroom category, which it subsequently won. 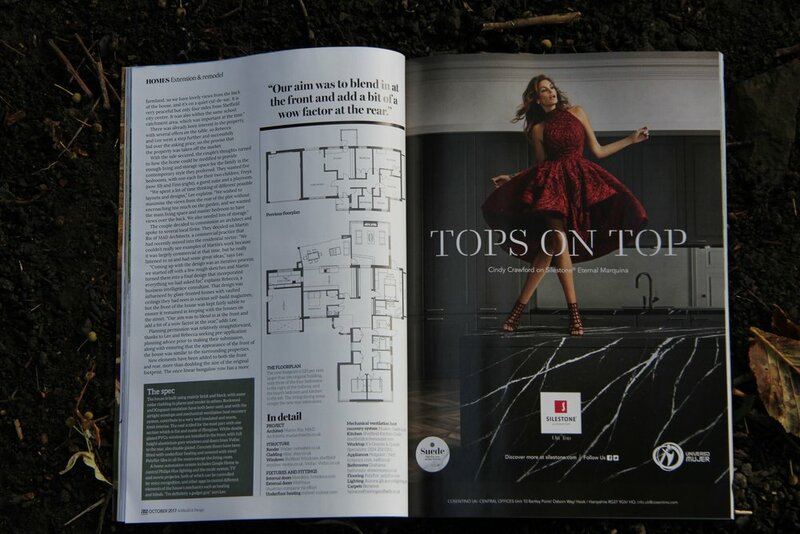 The judges were so impressed with the property I also features in an additonal spread discussing the renovation of the property. Another frosty morning in Chesterfield today, but the day has been warmed up by the postie delivering a copy of this months Self Build & Design magazine, featuring a 7 page article on our Ashover Road project. A quick site visit today to see the progress at the A-Rock Construction site, off Dunston Road. The exterior of the two bungalows are nearing completion and internal fit out has begun. The coming weeks will see the landscaping and driveways installed ready for completion. The properties are now listed with estate agents and anyone interested should make contact for further details. Site works have started on these 2 bungalows being developed by A-Rock Construction, off Dunston Road, Chesterfield. The timber frame construction has seen the majority of the superstructure erected in around 2 weeks. The coming weeks will see the roof and masonry skin being added. Completion of the project is expected by September. Work on our site at Rushley Avenue is nearing completion (after only 12 weeks), with the final finishes being added to the external cladding & glazing, along with the new decking area being installed. The clients have already moved into the extension and making full benefit of the new space that they have. Final photos will hopefully follow shortly. 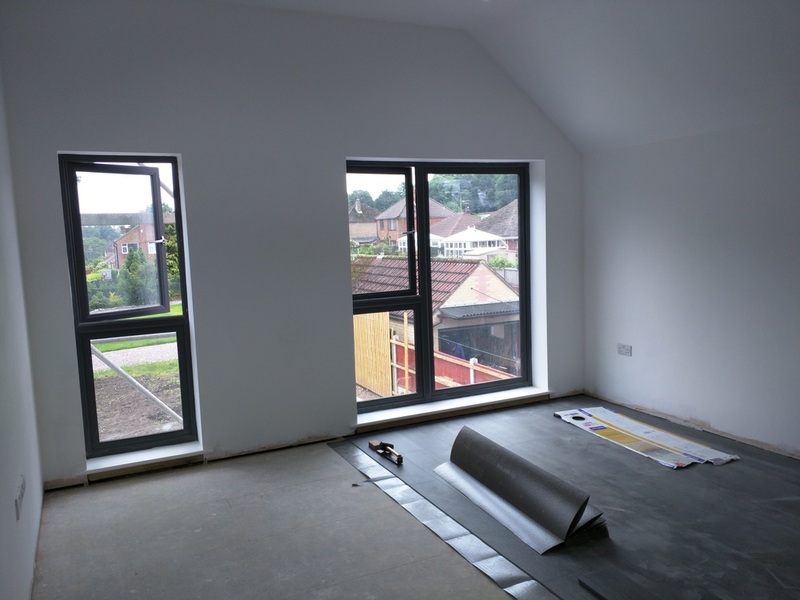 Work at Ashover Road is nearing completion, the grey UPVC & aluminium bi-fold doors have been installed and the monocouche render has been completed. Another couple of weeks and the clients will be moving in to enjoy their new home.